We, Efficient Fire and Security Solutions Private Limited, are engaged in manufacturing and supplying of an extensive range of fire safety equipment, which are appreciated across the globe for their excellent performance and reliability. Our range includes Conventional Fire Alarm System, Hybrid Fire Alarm System, Intelligent Addressable System, Hydrant System, Medium Velocity Water Spray System, High Velocity Water Spray System along with Turnkey Services. Established in 2004, we are instrumental in offering a range of safety equipment across the nation. More than a decade of experience of our director in the domain of fire and safety has helped us to achieve a commendable position in the market. Our range of equipment and systems strictly follow the standards of BIS, NBC, NFPA, TAC, IS, FM and Local Fire Authorities. We offer Fire Safety Equipment like Fire Alarm System, Water Spray System, Intelligent Addressable System, Hydrant system. We also offer Fire & Safety Training. 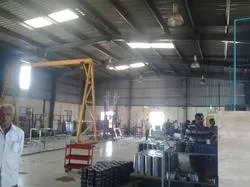 In addition, we also deliver high quality services pertaining to turnkey project solutions and annual maintenance contracts to various government and private sector units. We provide hi-end solutions for both, managing projects as well as after sale services to the clients. Our safety systems are designed with close attention and special touch to clients' requirements. Catering qualitative services, we also provide our clients with consultation, designing, execution and training regarding the systems. Backed by sophisticated infrastructure facility equipped with latest machinery, we are capable to offer a range of fire and safety equipment, which lives up to the expectations of our clients. Having expertise in closely dealings with various industries across India has helped us to comprehend the needs of our clients and to offer perfect solutions in their working areas, avoiding any kind of hazards. Our major exporting countries are East/Middle Africa, North Africa and South/West Africa. Our Proprietor Mr. Anand Gadekar is BE in Mechanical Engineering & also Adv. Dip. Ind. Safety (ADIS). Services of Fire Safety Equipments. 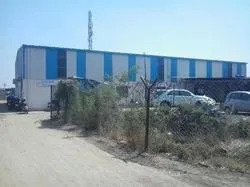 Quality being the prime motive of our company, we ensure that all the fire detection systems, water spray systems, hybrid fire alarm system, intelligent addressable system, hydrant systems and other equipment manufactured by us meet the prevailing industry standards. 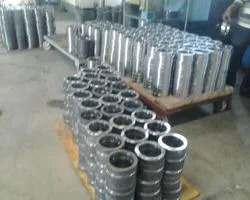 Our team of quality control professionals conducts stringent checks at all the stages of manufacturing process and makes sure that the processes are followed as per the laid down specifications. These equipment are tested in terms of functionality, performance and durability. A well qualified and balanced team of workers is the key to success for any organization. We have with us a team of professionals who are motivated by the zeal to manufacture a flawless range of fire & safety equipment. With years of experience in this domain, our team of experts has been efficiently supplying superior quality systems to various clients. Our team coordinates with clients to thoroughly comprehend their requirements and determine which equipment will suit for their applications. 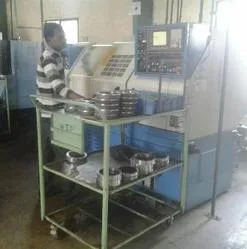 All our personnel work in close proximity with each other to ensure uninterrupted running of the manufacturing process and a mutually profitable situation at all times. Optimizing the advanced technology, we manufacture and supply a qualitative range of fire safety equipment. Fabricated using superior quality materials and components, these products ensure better functionality and durability. With our qualitative range of equipment that includes fire detection systems, water sprayers, water spray systems, hybrid fire alarm system, intelligent addressable system, hydrant system etc. we have achieved a reputed position among the clients. We hold expertise in our domain of fire and safety and can successfully provide proficient range of equipment to counter safety hazards. We follow various measures while manufacturing our array of safety products. We understand that the selection of safety equipment plays a significant role in protecting the workers against various known and unknown hazards at work site. It is the duty of an employer to identify the hazards & select suitable personal protective equipment to protect the workforce. We can help you in selecting the right equipment depending upon work environment & the kind of hazard envisaged. The suitability of equipment not only protects the workers but also encourages them to use them. Our expertise lies in offering a range of qualitative safety equipment, which exhibit optimum performance levels and are widely appreciated by a wide base of clients across the nation. Our team of proficient engineers and a deep process understanding has further steeled our grip over the expertise related to these equipment.